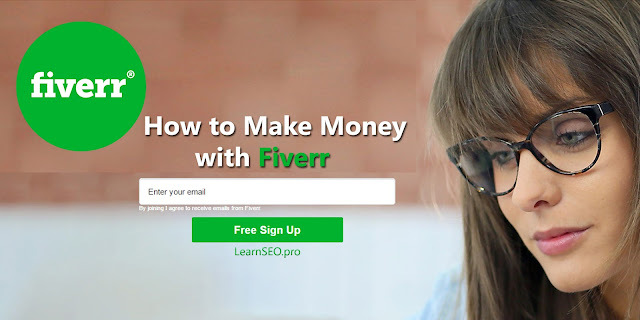 How to Make Money with Fiverr? You sale everything on Fiverr of $5, however you earn $4 on each sale. As Fiverr keeps its commission on each sale delivered. Still it has the most potentials customers in a huge quantity. So don't worry once you start creating Gigs. You will start earning instantly. 3. You profile should look authentic and Genuine. So complete the profile by uploading your photograph or pic. 4. For each service you have to create a new Gig. 5. Now questions comes in mind. How to create a Gig? Don't worry I will explain it. 2. Once you are logged in. On the Top right you will see your profile name and icon. Move your cursor on the thumbnail and you will see a dropdown menu. TITLE GIG: The title of your service. It should be simple and attractive. 6. Once clicked on above tab. Follow more steps. And your Gig will go for approval to Admin. 7. Once Gig will be approved you will start getting sales. 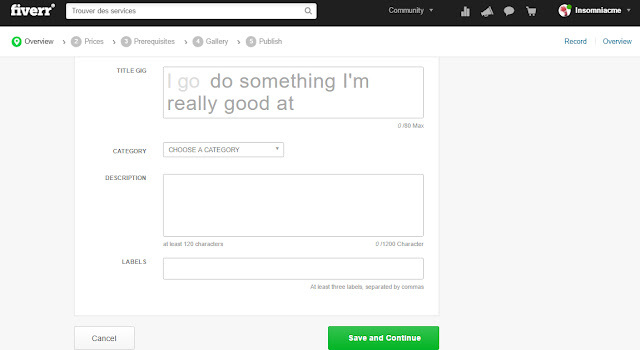 Everyone can easily make money on Fiverr by selling Gigs. Here we will help you to earn from Fiverr for Freelancer or professional.